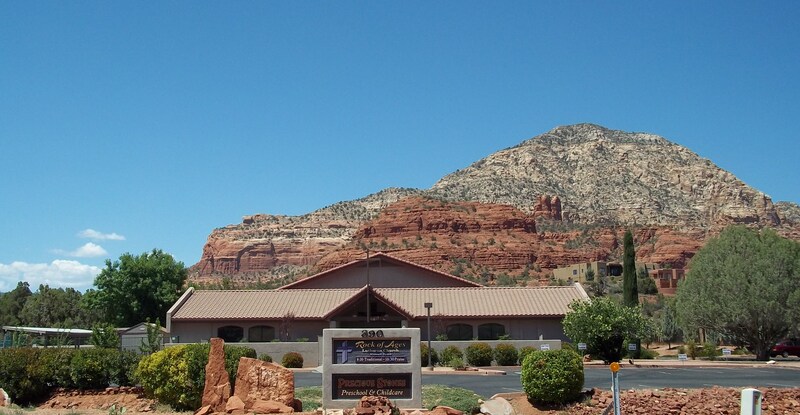 Precious Stones Preschool | Voted Sedona's Best Childcare 2011-2017! Voted Sedona's Best Childcare 2011-2017! Welcome to Precious Stones Preschool! Nurture, Love and Truth are the central components of Precious Stones Preschool and Child Care Center. We believe that each child is a unique, celebrated creation of God and therefore, is treated with respectful, loving care. We focus on nurturing the development of the whole child by providing experiences with structured play activities and unstructured play activities both inside and outside, a variety of readiness skill development, socialization skill opportunities, music and art expressions, enrichment activities and Christian teachings. You will observe happy, laughing children who are learning, playing, singing and socializing with friends! Precious Stones Preschool, a ministry of Rock of Ages Lutheran Church, practices a non-discriminatory admission policy. Programs and opportunities are open to all children regardless of gender, race, color, national origin or ethnic origin. This practice is founded on the teachings of Christ and in compliance with Federal and State law.